These are all Democratic candidates that will appear on the ballots of Coconino County voters. 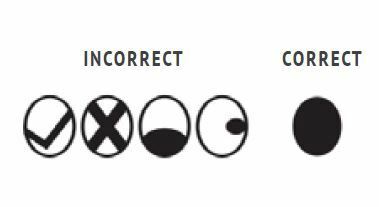 Races on your ballot will vary depending on your district and precinct. Your ballot will contain additional races for special districts depending on where you live in the county (such as school boards and fire districts). These are recommendations from your Coconino County Democratic Party. Get your ballot by mail. Register to have an early ballot mailed to your home. Early voting: Starting October 10, go to one of the County's Early Voting Locations. On November 6, vote at your neighborhood precinct polling place. On November 6, go to one of the County's Vote Centers. Please vote for every office on your ballot -- Download to Take to the Polls. Throughout her years of public service in the Arizona Legislature and Congress, Kyrsten Sinema strove to be an independent voice for all Arizonans. For example, she believes no family should be forced to choose between getting the health care they need and paying their bills. It’s why she voted against health care repeal that would have stripped coverage from hundreds of thousands of Arizonans, sent premiums skyrocketing for older patients and those with pre-existing conditions, and cut billions in funding from AHCCCS, worsening the opioid epidemic in Arizona. Kyrsten knows our health care system is broken, but she believes we should work together to fix the problems –not simply repeal everything without real solutions. Kyrsten is committed to making sure Arizonans have access to more health care choices, low–cost prescription drugs, and high–quality, dependable coverage. As one of the most independent-minded members of Congress, she’s committed to working with anyone – regardless of party – to get it done. 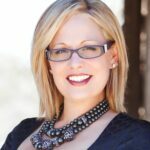 Learn more at kyrstensinema.com. Tom has served as a police officer, legislator, and now in Congress. Tom shares a vision with his constituents -- a vision of hope for our children’s future and of an economy and a heath care system that works for everyone. Tom has special concern for our veterans and an attachment to our natural resources and our unmatched scenic beauty. Tom wants to help make this hope and vision a reality. 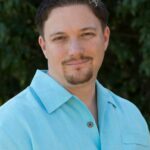 Learn more at http://www.tomohalleran.com/. 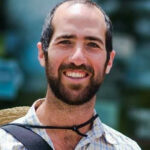 David is a husband, dad, veteran, and teacher. David has the integrity to break the old politics that are holding back our economy, ruining our schools and crushing the middle class. 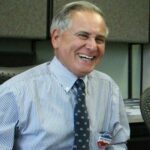 David wants Arizona to have top quality schools, good paying jobs, and honest government for a change. 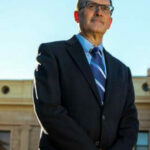 As Governor, David Garcia will root out the corruption, fight for education and break the old politics that hold Arizona back. 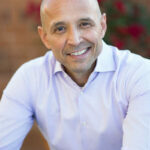 Learn more about David Garcia's vision here. Wade is a fourth generation Arizonan and a product of our public education system. He is the father of two daughters and the proud husband of a great school teacher, who supports his family by working on the railroad, working cattle, as a substitute teacher, and running Holbrook's hardware store. He's also served on city council as Vice-Mayor of the City of Holbrook. Wade says, "These experiences have taught me family values, the importance of hard work, and the devastating impact the underfunding of public schools has had on our communities. This is why I ran for office." Learn more about Wade's vision for service here. 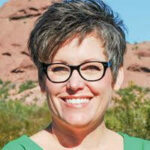 Felicia French is a Retired Army Colonel with 32 years of army service and a native Arizonan. She has been a combat helicopter pilot, nurse, and educator. She is a strong advocate for veteran’s affairs, affordable accessible quality health care for all, improving our education system starting with early-childhood, and creating more sustainable jobs. 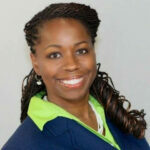 Learn more about Felicia's vision for service here. IMPORTANT: There are two House seats in District 6 and we have two candidates -- French and Tyler. VOTE FOR 2! 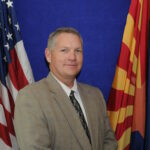 Bobby Tyler is the current Mayor of Holbrook and a third generation Arizonan. Bobby has been a union member and worked all his life in Northern Arizona. He was driven to run by the crumbling highways and deteriorating school system where he and his neighbors live. Learn more about Bobby's vision for service here. 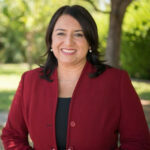 Jamescita Peshlakai is the incumbent Arizona Senator from Legislative District 7. She previously served in the Arizona House and the United States Army during the Persian Gulf War. 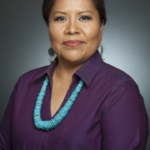 Currently, she is Policy Director for the Arizona Foundation for Women and an advisor to the Navajo Nation regarding veterans affairs and Arizona issues. She holds a Bachelor's degree in History and a Master's degree in Educational Psychology from Northern Arizona University. 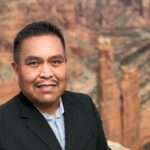 Arlando Teller is the Deputy Division Director at the Navajo Department of Transportation. He studied at Embry-Riddle Aeronautical University. Arlando is a strong supporter of the #RedforEd Movement. IMPORTANT: There are two House seats in District 7 and we have two candidates -- Teller and Tsosie. VOTE FOR 2! Katie was educated at Northern Arizona University. She's been a social worker for 25 years. Katie was elected to the Arizona House in 2010 and to the Arizona Senate in 2012, where she became Minority Leader in 2014. As Secretary of State, Katie will fight to provide all Arizonans access to the ballot. Her administrative experience will restore efficient service to Arizona businesses which have seen the basic services provided by the Secretary of State deteriorate under the present administration. Katie's opponent is a newcomer to public office who seems bent on voter suppression -- this is a must-win office for Democrats in the 2018 Midterm Election. Learn more about Katie Hobbs' vision here. January Contreras has a long history of fighting for Arizonans. January was a county and state prosecutor before founding a legal aid organization to protect Arizona's women, children, and families. She envisions an Arizona where every one of us feels safe, where our constitutional and civil rights are protected without fail, and where the powerful no longer get away with playing by their own set of rules. January was Assistant Attorney General in the Fraud and Public Corruption Section of the Office of the Attorney General under Janet Napolitano. When Napolitano became U.S. Homeland Security Secretary, January went to Washington, where she led the charge to establish the Council on Combating Violence Against Women. There is so much more to her career in Arizona and Washington; learn more about January's vision here. Mark Manoil is a fourth generation Arizonan who says this about why he's running, "For too long our political establishment has enabled the bad behavior of corporations that gamble with our money, leaving us behind to pick up the pieces. When the government stops working for the people, we must elect new leaders to fix it. I will fight to create opportunity and restore dignity to an office that for too long has let politicians get away with bad budgets and self-dealing." 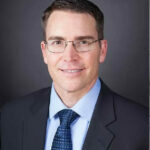 Mark is a product of Arizona public schools, including Arizona State University where he received his law degree and a Masters in Business Administration. 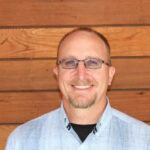 Learn more about Mark Manoil here. Kathy Hoffman is a dedicated educator who is committed to improving educational achievement for all of Arizona’s students. 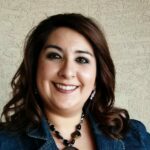 She has spent her entire career in education, and recently completed the 2017-2018 school year as a speech therapist in the Peoria Unified School District. While teaching preschool in Tucson, Kathy became interested in special education services. 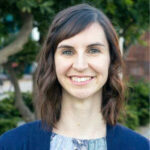 She completed a master's degree in Speech-Language Pathology at the University of Arizona as a way of supporting students with a wide range of needs. She prioritizes collaboration with teachers, administrators, specialists, and parents to provide the best possible solutions for students. Learn more about Kathy's vision here. Following a near-fatal accident at work in the fall of 1985, Bill Pierce became a strong advocate for workplace safety. Bill is an engineer with training from the Mine Safety and Health Administration, OSHA, the EPA, and the Nuclear Regulatory Commission. His 40-year experience in engineering and mining is a vital asset to ensure a greater level of job safety can be achieved, and the number of job-related incidents will be reduced. Bill’s commitment to job safety and environmental protection is unwavering. “I feel it is my duty to protect our land, water, and air for future generations.” Learn more about Bill's vision here. 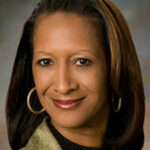 Sandra Kennedy has served previously on the Arizona Corporation Commission and in the Arizona Legislature. IMPORTANT: There are two seats open on the Arizona Corporation Commission and we have two candidates -- Kennedy and Sears. VOTE FOR 2! 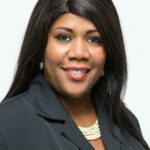 Kiana Maria Sears is a passionate energy regulatory and public policy professional who is civically engaged as a community advocate and public education champion. She is running as a clean elections candidate. Sears is a champion for policies that protect our children’s right to breathe clean air and drink abundant clear water. Valerie Wyant is the incumbent Clerk of the Superior Court. 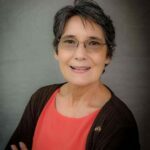 Prior to taking the office in Coconino County, Ms. Wyant worked in the Office of the Clerk of Superior Court in Navajo County. 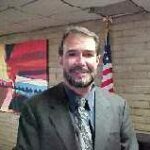 Darrin Womble is the incumbent Constable of the Flagstaff Precinct for the Coconino County court system. 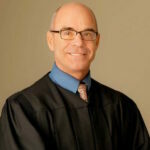 Howard Grodman is the incumbent Justice of the Peace for the Flagstaff Precinct of the Coconino County court system. 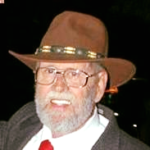 Don Roberts is the incumbent Justice of the Peace for the Page Precinct of the Coconino County court system. 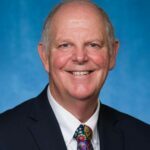 Ted Reed was appointed to serve as a Superior Court Judge to fill a term left vacant; this is the first time he is appearing for election by the voters. 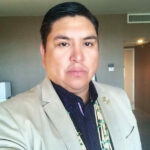 He has served in Division 1 of the County Superior Court. 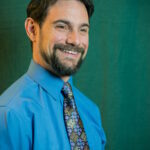 Reed received a bachelor's degree in criminal justice and psychology from Northern Arizona University, and a J.D. from the University of Utah, S.J. Quinney College of Law. 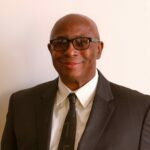 Reed has worked as an attorney at the firm Reed, Antol, Hance, P.C., as a federal prosecutor, and a contract public defender. He also taught criminal procedure, criminal law, evidence, trial practice, and constitutional law at Northern Arizona University from 2005 to 2009. Dan Slayton has served as a Superior Court Judges since 2010. 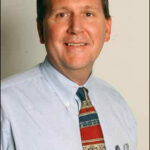 Slayton received his undergraduate degree from Northern Arizona University in 1978 and his J.D. from the University of Puget Sound Law School in 1994. Elaine Fridlund-Horne has served as a Superior Court Judges since 2010. Fridlund-Horne earned her J.D. from the Western State University College of Law in 1987. She began her legal career practicing law in the California from 1988 until 1995 when she moved to Arizona. 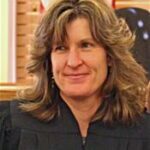 She began to practice specializing in family and juvenile law in Arizona on October 21, 1995. She also served as a court mediator and as a superior court probate commissioner from 2004 until 2006. She was appointed judge pro tem for the newly created Integrated Family Court Pilot Program in 2006. There is one candidate for Mayor of Flagstaff, who happens to be a Democrat. There are six candidates running for three Flagstaff City Council seats; we list the four who are Democrats here. Coral Evans in the incumbent Mayor of the City of Flagstaff.